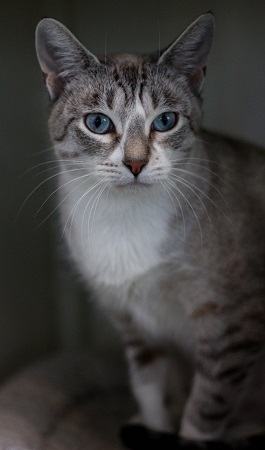 Stardust is a beautiful girl whose eyes are always twinkling! She is gentle, kind, and has proved to be quite the nurturer taking in younger kittens under her wing. She is 2 years old and a lovable companion for any home. She is fixed, vaccinated and microchipped. Her adoption fee is $100. Drop by Pixie Project during business hours to meet her! Tues-Fri 11-6 and Sat 11-4. Have questions? Feel free to email us at info@pixieproject.org.